Blank Spot is a platform for investigative journalism and storytelling. In February 2015, they raised 30.000 Euros on the Swedish platform Fundedbyme. 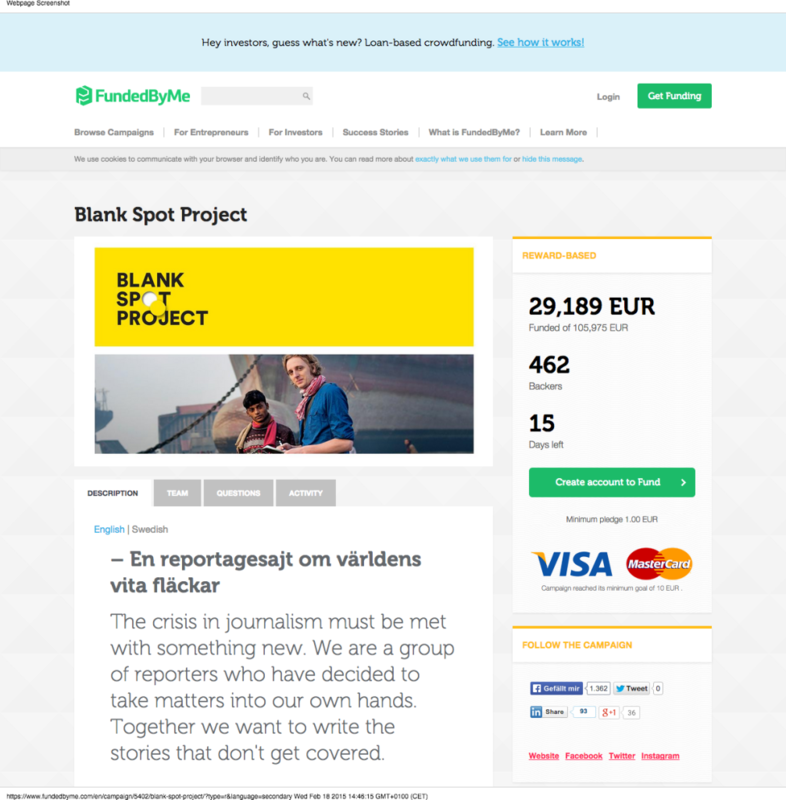 Blank Spot Project is a digital platform for storytelling journalism, reporting from around the world. We want to show more of the world and write the stories that do not get written. When the journalist Martin Schibbye was released from an Ethiopian prison after 438 days in captivity, a fellow prisoner whispered “Tell the world what you have seen.” We are now a number of editors, photo editors, photographers, investigative journalists, digital developers and reporters, including Martin Schibbye, who together have decided to do just that: Tell what the world outside Sweden looks like.